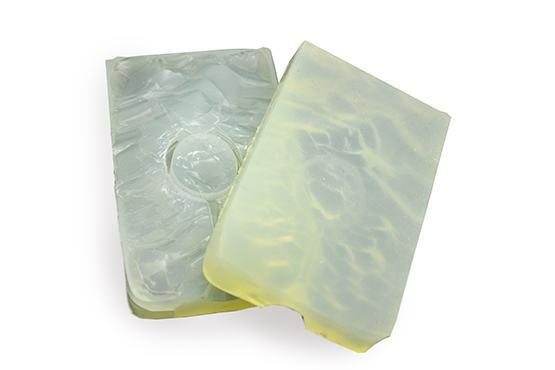 At Taba, we make a variety of silicone and rubber molds. 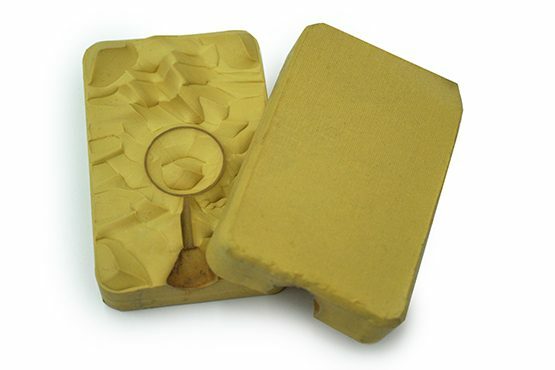 Each material has properties suitable for different production needs. Tell us about your project and we can help you choose the appropriate mold. 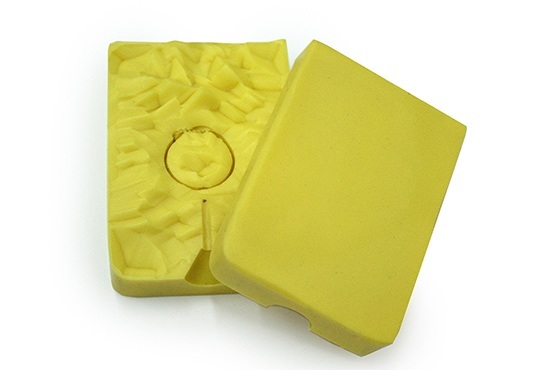 Our most popular mold material. The silicone mixture is poured around the original and left overnight to cure. Good for: Most things, especially delicate pieces. Shrinkage: Expect your casting to be up to 3% smaller than the original. 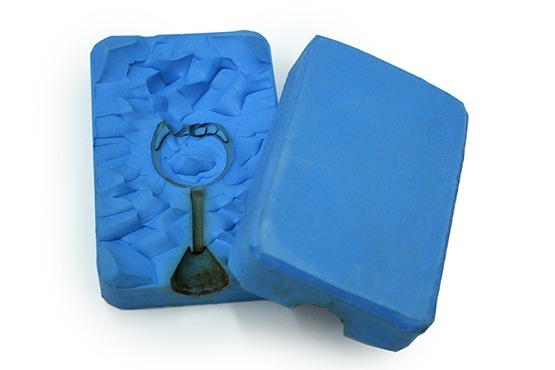 Our next most popular material, regular rubber was historically the standard mold in the jewelry industry. The original is sandwiched in two pieces of rubber and vulcanized under pressure and heat. Shrinkage: Expect your casting to be up to 3-5% smaller than the original. Similar to regular rubber but with higher detail resolution and better durability. Shrinkage: Expect your casting to be up to 2-5% smaller than the original. A modern material used in engineering industries for its long shelf life and low reactivity with printed prototypes. The best option when molding unknown materials due to its low reactivity. 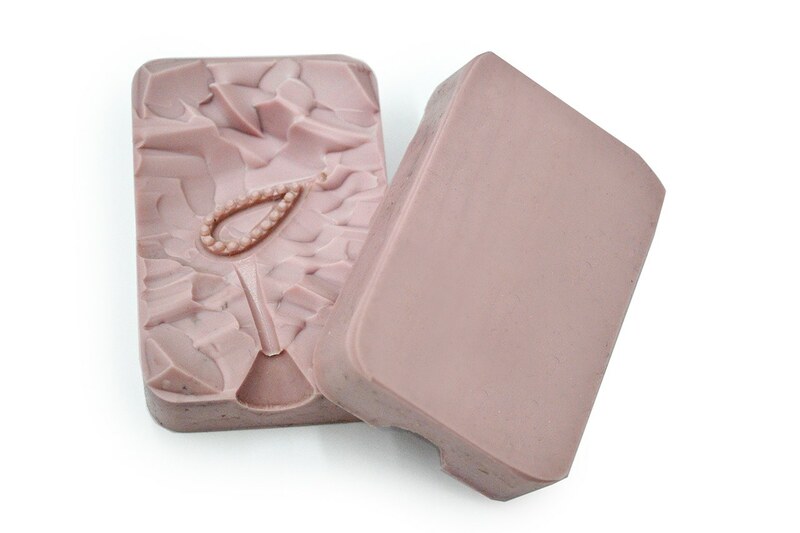 Good for: Molding from printed models, or models crafted from various materials. The original is sandwiched between two pieces of pink silicone and vulcanized. Good for: High volume production. 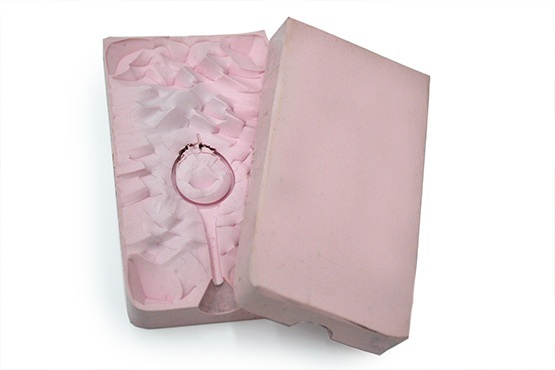 Due to the hardness of the material, this mold yields waxes of consistent weight. 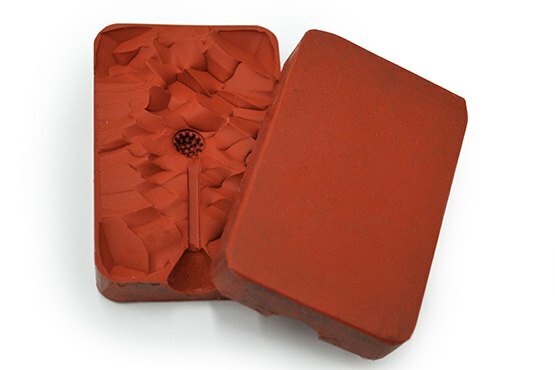 Red rubber is harder than the pink vulcanized silicone and gives similar or better results for lightweight pieces. Good for: When your original is too large, and/or when you need to achieve very lightweight pieces. Shrinkage: Expect your casting to be up to 5-12% smaller than the original.